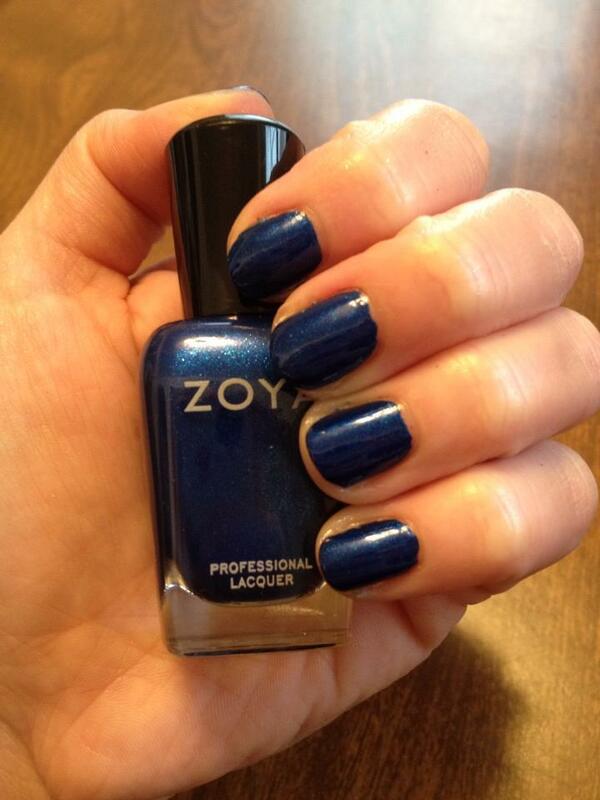 When I received the Zoya Diva collection from Fall 2012, one color immediately stood out to me: Song. It's a beautiful, deep, vibrant royal blue shot through with tons of silver and blue sparkle. I'd been waiting for the right time to paint my nails with this stunner, and this weekend seemed like the perfect opportunity! And you know what? The polish is just as amazing on the nail as I was hoping it would be. I can't stop staring at my nails and admiring the gorgeous hue! What's on your nails right now? And can you add any other blue songs to the list? Let me know in the comments!